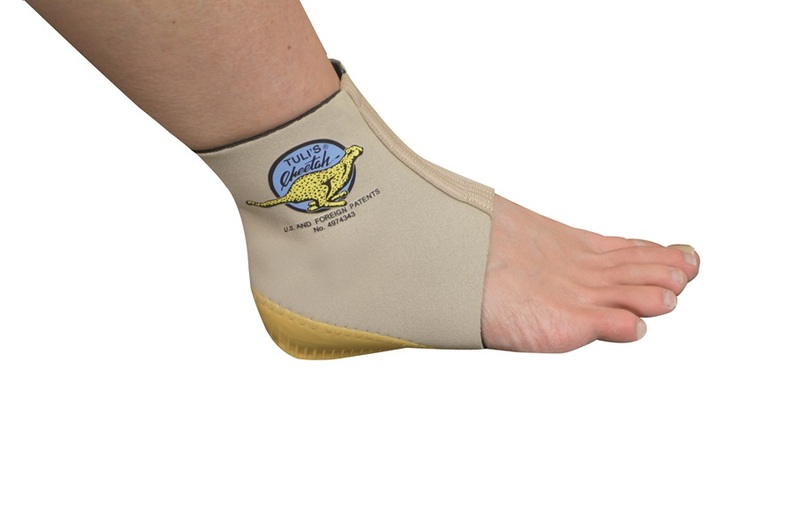 Barefoot protection with shock absorption and ankle support. 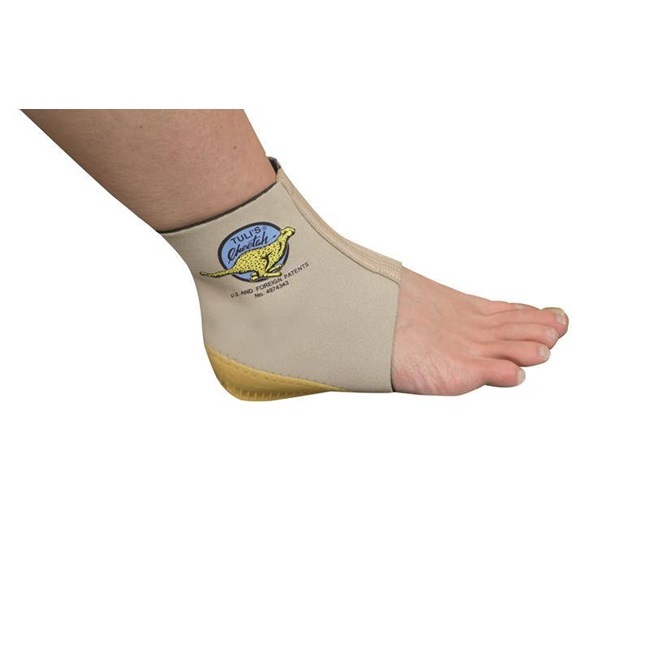 Designed to protect sensitive growth area in the heel of young gymnasts. Sizes available: X-Small (under 70 lb), Small (70 - 80 lb), Medium (80 - 100 lb), Large (100 - 120 lb), X-Large (120 - 140 lb) and adjustable one size fits all.